A few years ago, I lost my SM58 at a gig. As I scrambled about the festival grounds desperately searching for it and fighting back tears, I was met with curious looks and questioning eyes. 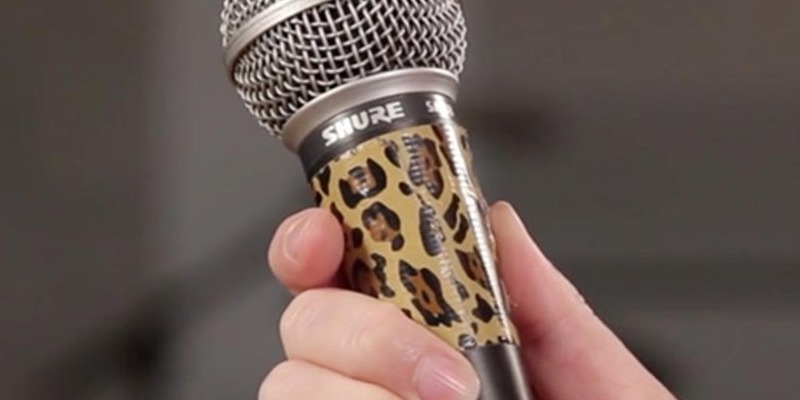 Why the dramatics over a $100 mic that was so easily replaceable? One reason: that SM58 belonged to my mother. I've lost count of the many things my mother has given me over the years. Her love, support and guidance have been monumental in forming the woman I have become. More specifically, however, my mom instilled in me my deep love for singing. My first voice lessons were in the car as we belted out tunes with the radio. I watched her in countless community musicals and even shared the stage with her in a few. She often sang in church and was even in a gospel band for a few years; those were the years when I made gaffe tape balls and learned how to properly coil cables. And it was for that band that she purchased her SM58. Years later, when I joined my first band and needed a mic I remembered that leather Shure pouch in the junk drawer at my parents' house. She gave it without a second thought and, despite years of disuse, it worked from the moment I plugged it in. I eventually found my SM58 that day. As I looked at that 25 year old mic with its dented grill and scratched handle, I thought about my relationship with my mom. Just like that SM58, which continues to work time after time and year after year, I know I can always count on my mom to be there when I need her. And for that, I am truly grateful.